This adventure for Pirates & Dragons includes statistics for both the Renaissance and OneDice versions of the game, as well as retro-clone stats. 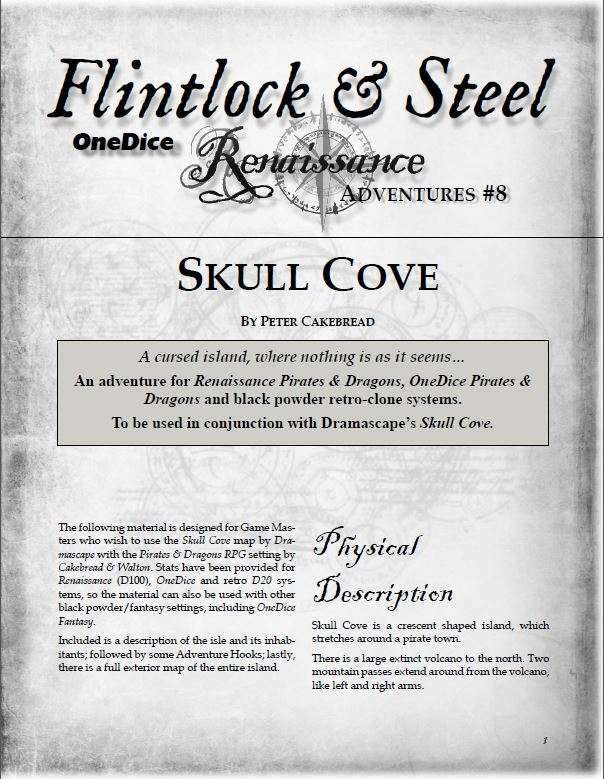 It is intended to be used with the large scale colour map of Skull Cove presented by Dramascape. Both can be bought together - look for the discounted bundle! Note: The Dramascape map package also contains a completely different take on the island, for the Savage Worlds system. Renaissance, OneDice and retro-clone stats are provided in this product for that adventure.